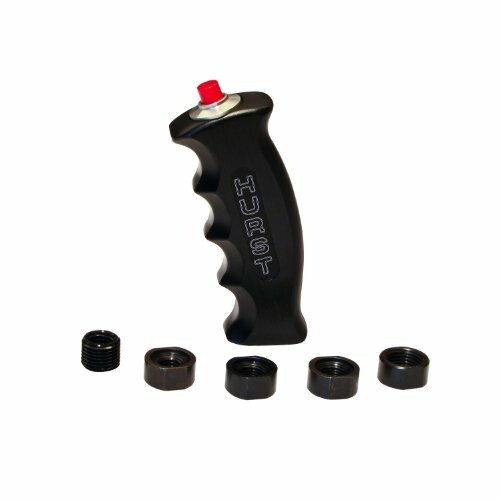 The classic Hurst T-handle, is made of solid die-cast aluminum and features a 4-speed shift pattern embossed within the Hurst H logo, over a brushed satin finish. 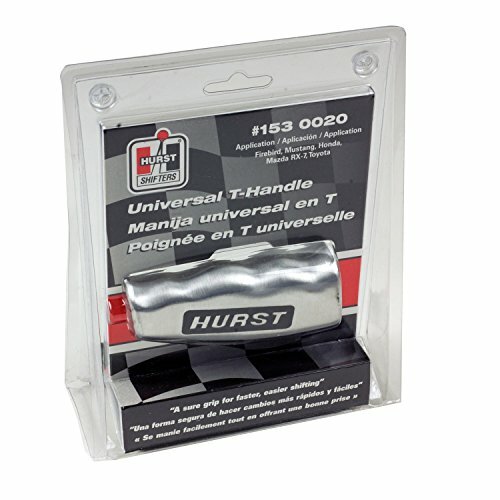 This Hurst brushed aluminum universal t-handle will fit most SAE and metric thread sizes. Fits 3/8 and 1/2 in. threads. Also fits 10, 12 and 16 mm threads. B&M automatic shifter accessories help you complete your project with parts designed and selected by the experts at B&M. 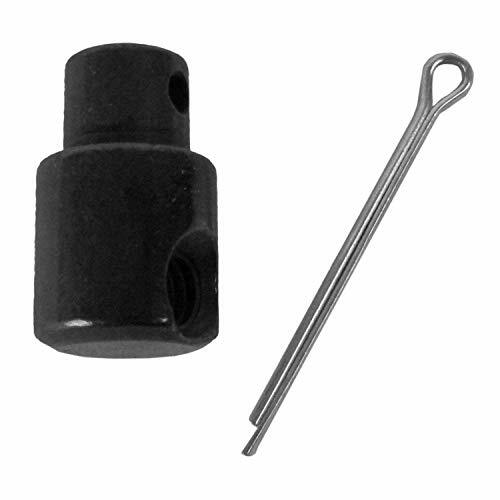 This accessory is a swivel, and it includes the pin. The B&M Sport Shifter automatic shifter gives the driver a choice. Left in "Drive", the vehicle is allowed to shift like a normal automatic, but the driver can also choose to take control and get results similar to a manual. By being able to shift quickly through the gears, the driver can maximize the engine's torque curve, and improve the driving experience. This is not a ratchet shifter, and not intended for racing applications, but it makes a nice addition to any street machine and makes daily driving something to look forward to. It's cable operated for easy installation and precise shifting, uses a simple detent action between First, Second, High, and Neutral, and it is sized 12.18" long, 11.15" high, and 6.19" wide. The universal installation style is useful for applications where the vehicle does not have a factory provided console. CNC machined from solid billet aluminum and anodized in black finish, the Hurst Pistol Grip Shifter handle is designed to provide a firm comfortable natural grip when shifting, allowing less chance of your hand slipping and missing a shift. Leaf Spring Shackle BushingGreasable Spring/Shackle Bushing KitGreasable Spring/Shackle Bushing Kit. Black. Front And Rear Main Eyes.FEATURES:Premium Grade Polyurethane Components Precision Fabrication Assures Perfect FitPROTHANE Motion Control has become synonymous with innovative, hi-performance polyurethane or urethane for short, based bushings and driveline components. From bushing, bump stops and body mounts to stressed driveline components like motor and transmission mounts and lift kits, PROTHANE engineers are constantly developing innovative new hi-performance polyurethane based parts. 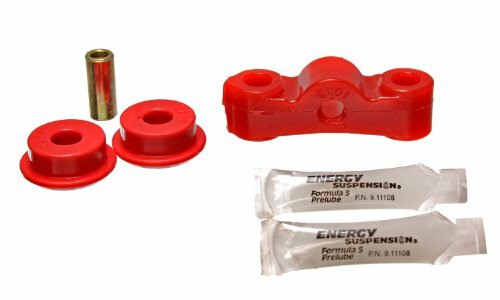 As enthusiasts and racers, we take great pride in being the first to bring you better polyurethane bushings, transmission and motor mounts to enhance the performance of your vehicle. B&M automatic shifter accessories help you complete your project with parts designed and selected by the experts at B&M. 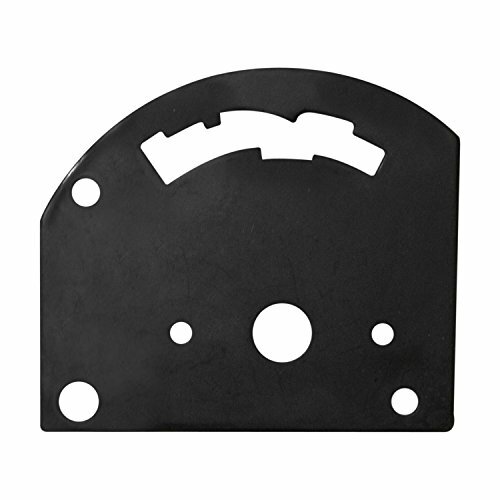 This 4-speed forward pattern gate plate is designed specifically to be used with the Pro Stick automatic shifter. The B&M StarShifter automatic shifter gives the driver a choice. Left in "Drive", the vehicle is allowed to shift like a normal automatic, but the driver can also choose to take control and get results similar to a manual. By being able to shift quickly through the gears, the driver can maximize the engine's torque curve, and improve the driving experience. In the normal mode, the StarShifter is a straight line detent shifter, but when the lever is in Low you can lift the trigger all the way and pull the stick back to convert to ratchet action to move through the 1-2 and 2-3 shifts. 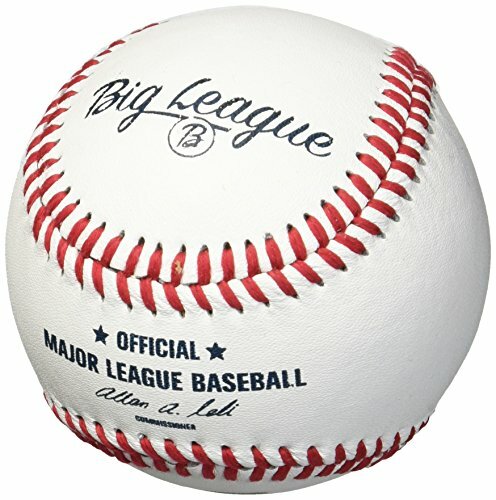 It's cable operated for easy installation and precise shifting, and it is sized 12.22" long, 12.12" high, and 2.90" wide. The universal installation style is useful for applications where the vehicle does not have a factory provided console. Application Summary : Fits GM TH400, 350, 250 and 200 automatic transmissions. Also fits Ford Lincoln and Mercury C4 and C6 automatic transmissions. Also fits 1966 and later Chrysler Torqueflite A727 and A904 transmissions. Does not fit TH700R4, TH2004R or AOD automatic transmissions. Cannot be used with reverse pattern manual valve body. For 2 and 3 speed applications. 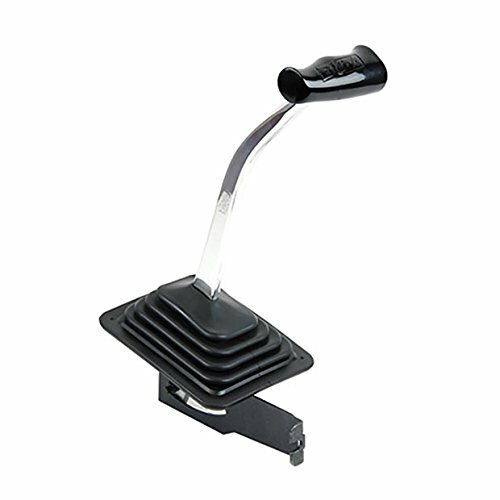 The design of the B&M Unimatic automatic shifter allows it to be located almost anywhere on the floor of the vehicle. 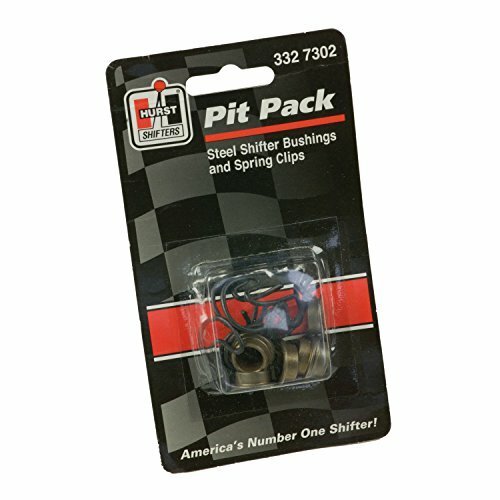 This is useful for a wide variety of projects, including relocating a shifter from the column to the floor. The rear entry cable operation allows for easy installation and precise shifting, and the stick is styled to look like a manual 4-speed shifter for a performance 'flavor'. The unit is 12.72 inches high, and comes complete with a T-handle, boot, and 5 foot cable. 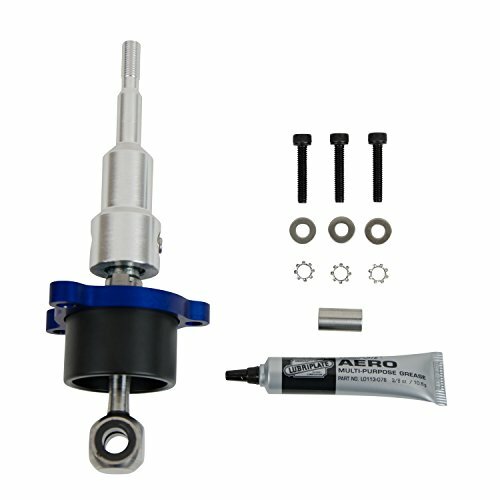 Skunk2's Dual-Bend Short Shifter for all '88-'00 Civics and '90-'01 Integras, including CRXs and del Sols, is manufactured from high-strength steel alloy and precision CNC machined for a precise fit and to help promote smoother, more positive shifting, suitable for all forms of racing and street applications. 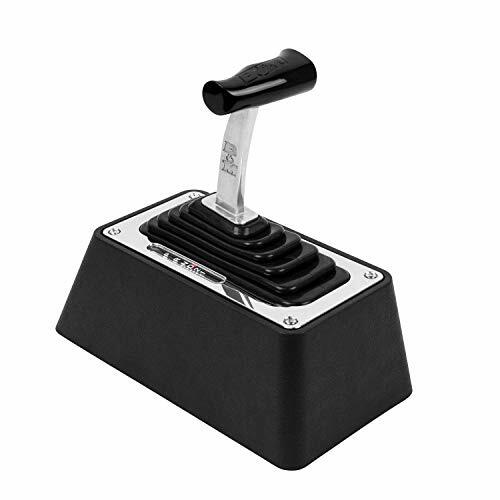 The B&M Truck/SUV MegaShifter automatic shifter gives the driver a choice. 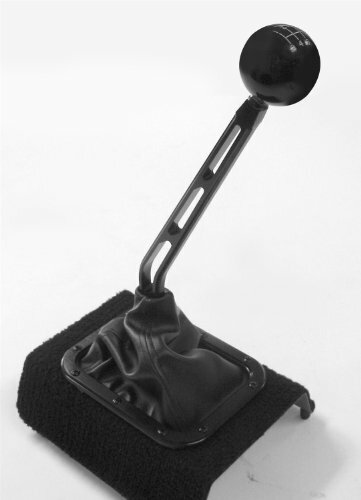 Left in "Drive", the vehicle is allowed to shift like a normal automatic, but the driver can also choose to take control and get results similar to a manual. By being able to shift quickly through the gears, the driver can maximize the engine's torque curve, and improve the driving experience. It features full ratchet action performance, and cable operation for easy installation and precise shifting. Configured for light trucks and SUVs, it is sized 14.89" long, 14.85" high, and 6.42" wide, with a taller base and an adjustable floor mount bracket. 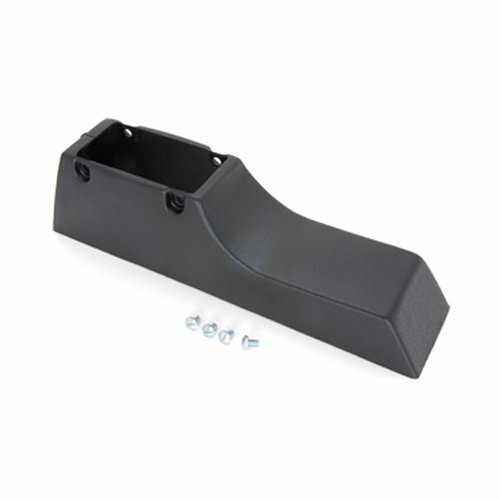 The base can be trimmed to custom fit any floor, which is useful for applications where the vehicle does not have a factory provided console, or it is no longer desired. B&M's Precision Sport Shifter offers a dramatic improvement in shifting performance, due in large part to the reduction in the stick's travel (or 'throw'). Using their decades of experience, superior designs, and extremely durable components, B&M re-engineered the stick and its pivot point for better leverage and to reduce the distance that the knob end must travel to engage the gears. The result is a short throw shifter that should provide smooth, precise shifts for hundreds of thousands of miles, with less driver fatigue and a more professional feel. 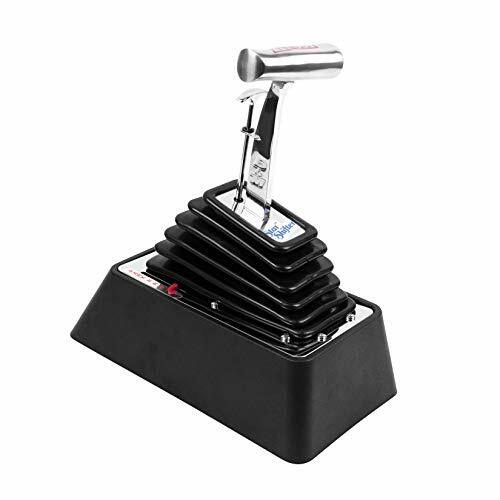 The shifter is CAD-designed and engineered as a direct bolt-in replacement, so it can be installed easily in about an hour, and function properly with the factory boot, insulation, and console surround. It features a fully isolated design with a 303 stainless steel stick, a CNC machined aluminum base, a nylon pivot ball, and it accepts the stock knob. 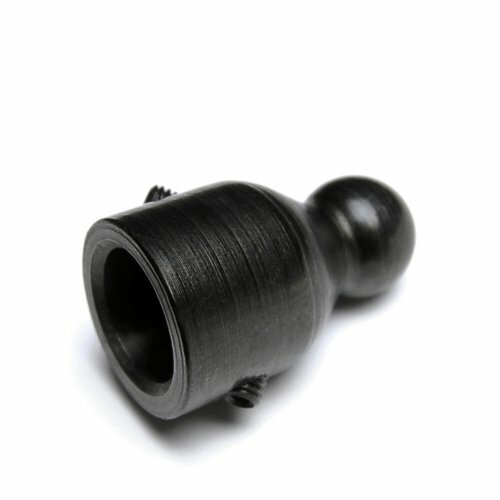 Skunk2's short throw shift adapter for the 2006-2008 Civic Si is manufactured from high-strength steel alloy and precision CNC machined for a precise fit and to help promote smoother, more positive shifting, suitable for all forms of racing and street applications. This Hurst Billet Plus shifter for 1997-2004 Corvette with a Borg Warner T-56, features a CNC machined billet aluminum base, adjustable positive gear stops to help prevent internal transmission damage, and a high strength steel stick. 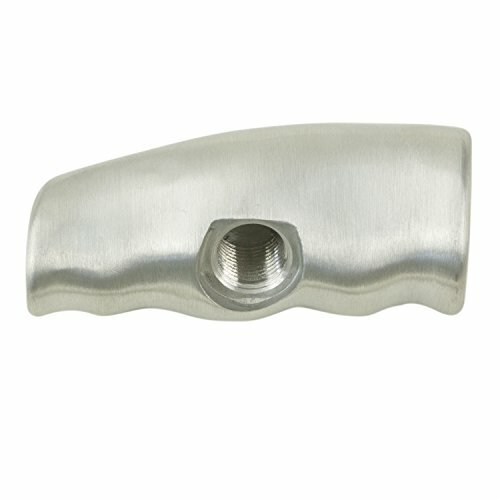 Direct bolt on tubular shifter levers for Tremec/Borg Warner manual transmissions are built for stock and aftermarket 5 and 6 speed shifters. They fit the TKO/T5/T45/T56 with the standard 2 bolt flange measuring 7/8 in center to center. 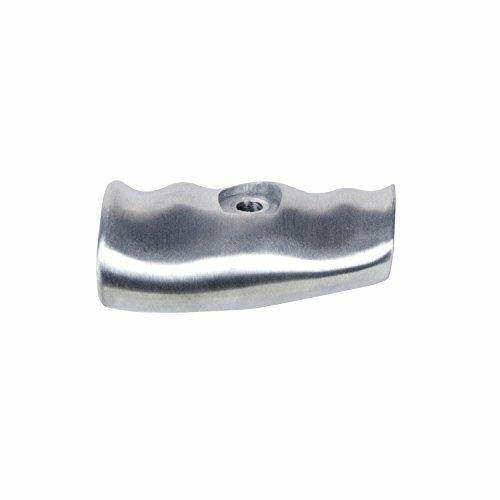 To give you a clean/smooth appearance these levers feature a machined billet steel mounting stud counter sunk for cap screws. All levers available in chromed or black finish. 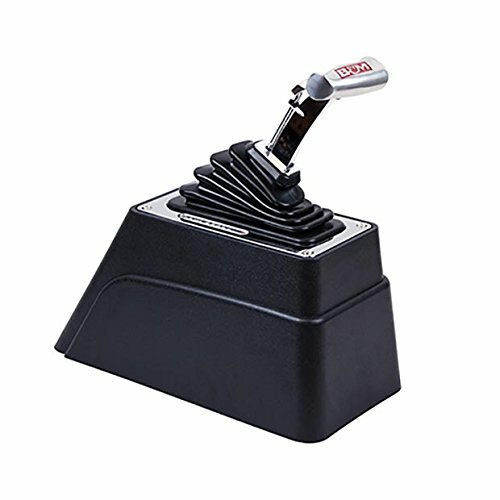 Turbo Action 70059A Cheetah Scs Shifter Cove . Product Dimension (LxWxH): 18.7x5.1x14.4. B&M automatic shifter accessories help you complete your project with parts designed and selected by the experts at B&M. 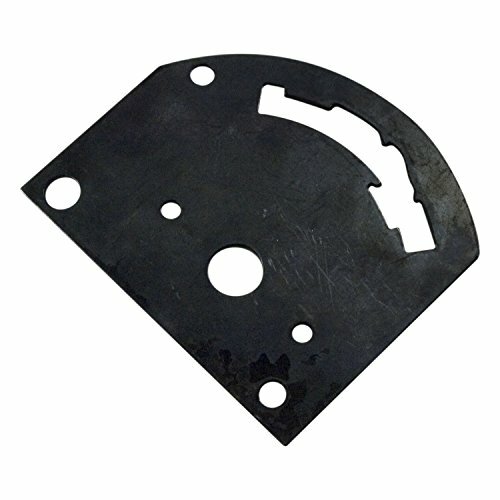 This 3-speed reverse pattern gate plate is designed specifically to be used with the Pro Stick automatic shifter. 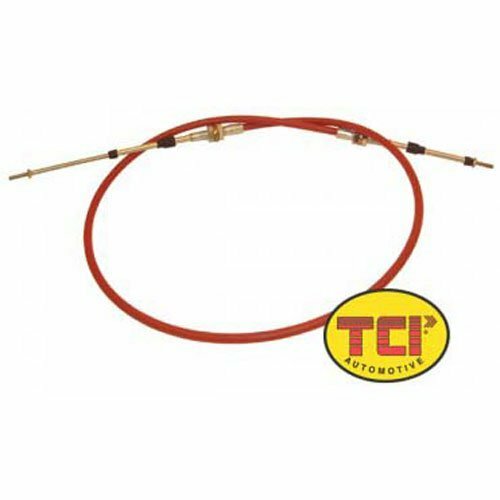 TCIShift Cable 6 Ft Length W/ 2 Ft. Stroke with Threaded Ends and RedHeatResistant cable cover. Lokar 3-Speed Automatic Piston Knob has been designed with safety lock-out button. The Teflon lining guarantees smooth operation. It has an easy to remove shifter knob. It is designed for simple boot installation. It is made in the U.S.A. It has a lifetime warranty.